Treat others as you would want to be treated. 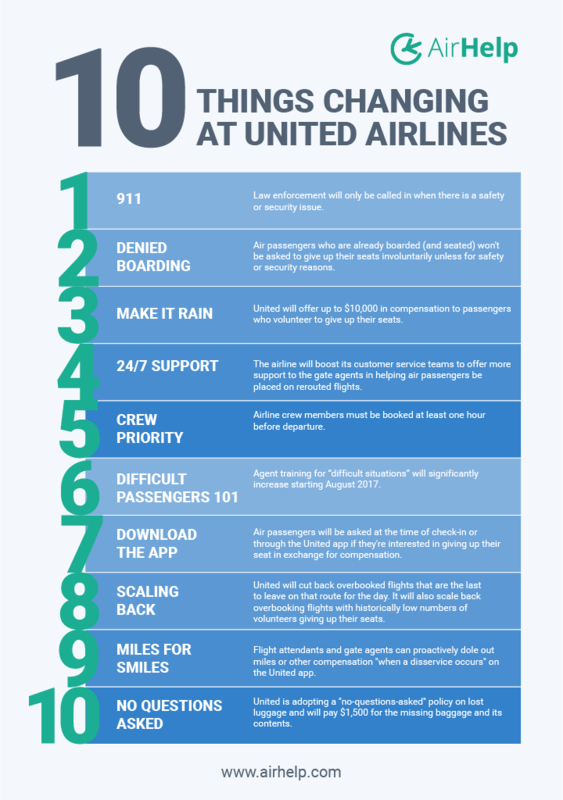 It seems United Airline’s customer service agents learned this lesson the hard way, after a video of passenger Dr. David Dao being dragged off an overbooked flight on April 9th went viral and caused outrage across the globe. Less than a month later, the fallout hasn’t abated. After a review of the circumstances surrounding Dr. Dao’s removal from the flight, United today detailed a “system failure” that led him to suffer two missing teeth and a concussion. They followed up with 10 customer service policy changes to make sure what happened to Dr. Dao will never happen to anyone again. United crew were strictly abiding by company policies and procedures that day. But this obedience caused the mistreatment in four ways. Instead of seeking alternative solutions, the airline escalated the issue by calling in law enforcement officers to intervene even when there was no safety issue. United didn’t rebook its crew members off the already packed flight, thereby placing preference of its personnel ahead of its customers. United’s alternative solution to the packed flight wasn’t strong enough. Passengers are owed cash and other forms of compensation in circumstances such as these according to the Montreal Convention. United did not entice its passengers with sufficient compensation in this case, according to CNN, because United did not give its agents the authority to offer it. United crew aren’t properly trained to handle situations similar to what happened on Dr. Dao’s flight. United Airline’s customer service failed to make sufficient substitute travel arrangements for Dr. Dao that day. If the airline fails to make alternative travel arrangements after bumping you off an overbooked flight, then you are entitled to 400% of the one-way fare price — which could be up to $1,350 in total, according to the law. That’s quite a chunk of change for the inconvenience. The problem is, airlines want to pack their flights in order to boost their profits. To make sure their flights are as full as possible, airlines often sell more tickets than there are seats on a plane. This is called “overbooking” and it often results in passengers being bumped or denied boarding for their flights. If this happens to you, you have multiple rights you should know about. Check out our tips on what to do in the event of a flight overbooking. The difference in scheduled arrival time at your destination compared to your original itinerary, if you accept re-routing on another flight. Whether your flight is a US domestic flight or an international flight. What’s better than $1,300 … $10,000. United has agreed to increase its compensation for overbooking nearly 10x more than required by law to $10,000 for passengers who voluntarily give up their seats in situations such as Dr. Dao’s flight. Delta recently released a similar change to its service policies and procedures. Law enforcement will only be called in when there is a safety or security issue. Air passengers who are already boarded (and seated) won’t be asked to give up their seats involuntarily unless for safety or security reasons. United will offer up $10,000 in compensation to passengers who volunteers to give up their seats. The airline will boost its customer service teams to offer more support to the gate agents in helping air passengers be placed on re-routed flights. Airline crew members must be booked at least one hour before departure. Agent training for “difficult situations” will significantly increase starting August 2017. Air passengers will be asked at the time of check-in, or through the United app, if they’re interested in giving up their seat in exchange for compensation. United will cut back overbooked flights that are the last to leave on that route for the day. It will also scale back overbooking on flights with historically low numbers of volunteers giving up their seats. Flight attendants and gate agents can proactively dole out miles or other compensation “when a disservice occurs” on the United app. United is adopting a “no-questions-asked” policy on lost luggage and will pay $1,500 for the missing baggage and its contents. Packed or overbooked flights aren’t the only circumstances when you could be eligible for cash or other compensation according to the law. Depending on where you’re flying to, you could be eligible for various cash amounts and perks. Read more about your air passenger rights on our Know Your Rights pages or check to see if you’re owed compensation on past eligible flights.